Let’s Talk!!! Modric Break The Ronaldo-Messi’s Gin, Who Do You Think Will Break The Davido-Wizkid Gin In Music Industry? Records are meant to be beaten; Luka Modric break the Ronaldo – Messi ‘ s Ballon D’or gin after wining the prestigious award on Monday. The duo legends claim the award between themselves for a decade and the football pundits has refer them as the best ever in the history of soccer. 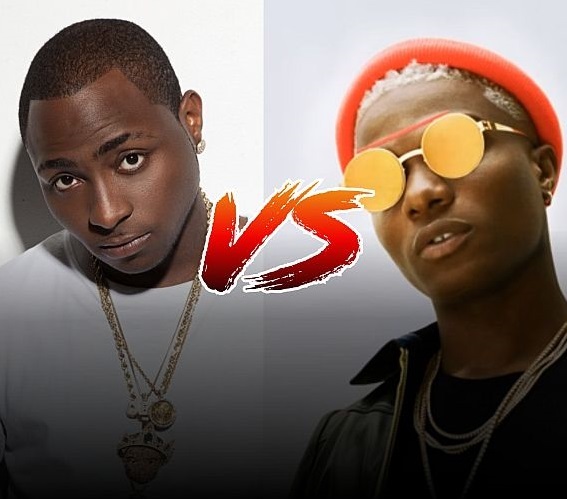 The case of Ronaldo – Messi Ballon D’or gin is very similar to our music industry as Davido and Wizkid has been the duo ruling the games for more than 7 years now and they are still very active more than ever before. Alot of artist has work so hard to be like Davido Or Wizkid, but no one can pinpoint any artist who has work up to thier standard in terms of hits, most sort after, swag, and most compared artist in Nigeria. The industry has a lot of fast growing artist who keep improving with every track the likes of BurnaBoy, Kiss Daniel, Patoranking, Mayorkun, Peruzzi, Teni, Phyno and so many more. There’s a popular saying that; Everybody na king for hin lane. Olamide is without doubt the king of rappers in the industry. Keeping the king of rap out of this as Olamide is in the same standard or above the duo depends on your perspective.